In 1540 Hernando de Soto and his party of gold searchers passed close by, probably within view of the Balsam Range and Mount Toxaway. 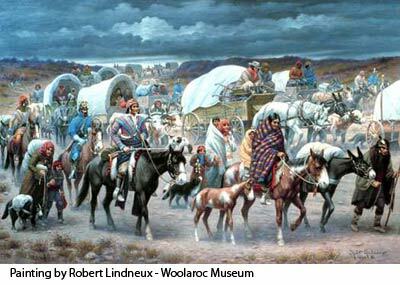 They were most likely the first white men to walk “under the Sapphire Sky” and refer to local peoples. These early narratives refer to the Achelaque; French records (in 1699) mention the Cheraqui; and since 1708 these early settlers have been known as Cherokee. The Cherokee established a trading route between their mountain settlements, the village of Estatoe and on into South Carolina. 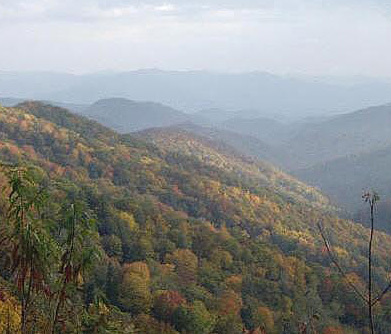 The route was one of the first to navigate and open up the rugged and densely forested terrain of the Blue Ridge Mountains. The Estatoe Path was also a primary trail for annual hunting trips. It crossed the mountains and waterways at Davidson River, conitnued through Brevard and Cherryfield, crossed the French Broad River near Rosman and continued into South Carolina, with Charleston as a final destination. Around two centuries later, with trade flourishing between Native Americans and European settlers the devastation of the natives started. Whites moved up from the coast starting from Charles Town. They hunted and killed native fauna exporting pelts and hides. An early treaty (1721) between the English and the Cherokee, assured (temporary) peace and trade. White settlers, Scots and Irishmen, filtered into the mountains and settled. 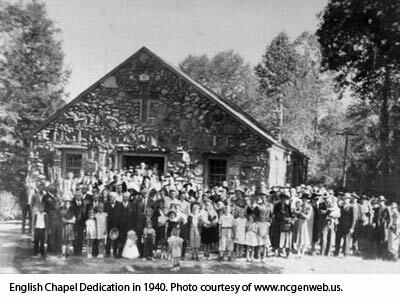 Circuit riders, camp sermons, Bible reading, blacksmiths and farmers were here to stay. The Declaration of Independence, allegedly the first declaration of independence made in the Thirteen Colonies during the American Revolution, was supposedly signed on May 20, in Charlotte, North Carolina, by a committee of citizens of Mecklenburg County. Col. Ephraim Brevard, MD was reputed to have drafted and signed the declaration. Territory belonging to the Indians was transferred to the State of North Carolina via the Treaty of Holston. This treaty was between the United States government and the Cherokee Nation signed on July 2, 1791 and proclaimed on February 7, 1792. It was signed by William Blount, governor in and over the territory of the United States south of the Ohio River, and superintendent of Indian affairs for the southern district for the United States and various representatives of the Cherokee Nation. 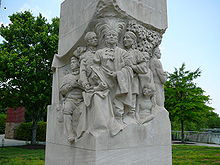 The treaty established terms of relations between the United States and Cherokee, and established the Cherokee nation as a protectorate of the United States with the United States managing all foreign affairs of the Cherokee. The Walton War, a boundary dispute between North Carolina and Georgia, resulted in armed confrontation. At stake was a 12 mile strip of land on the North Carolina southern border. In December 1810 a North Carolina militia unit was dispatched to the upper French Broad River with orders to remove the Walton County Government. The two state militias clashed in the Battle of McGaha Gap one mile south of the present Brevard, near Wilson Bridge. A number of Georgia fighters were killed and others captured. Survivors regrouped at Selica Hill, two or three miles south of the previous battle, and were routed. In 1811 Georgia authorized an official survey of the disputed strip of land. Finding it to be out of its jurisdiction, the land was ceded to North Carolina. 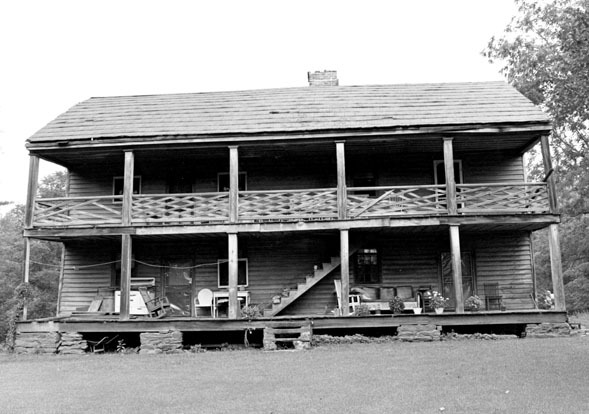 Benjamin Allison built what is now the oldest standing frame building in western North Carolina. William Deaver and Margaret Patton married. They bought the Allison House and approximately 300 acres of land and enlarged the house to become a 12-room dwelling. Removal of Indians by government policy. In 1838-39, the U.S. government forcibly removed the Cherokee from their lands in North Carolina, leading them on the infamous Trail of Tears to the Indian Territory (present-day Oklahoma). They left Pisgah Forest from Neill’s Hattery. A small number of Cherokee people successfully resisted removal, however, by claiming North Carolina citizenship and by maintaining the right to remain on lands they owned. These people and their descendants were recognized in 1868 by the federal government as the Eastern Band of Cherokee Indians. Under the leadership of Will Thomas, the remaining Cherokees were paid $53.33 each appropriated by the federal government for the trip west and 6.5% interest since 1836. This total amount was used to purchase the mountain landwhich would become the Cherokee Reservation. Charles Moore, James W. Patton and Thomas Miller started Davidson River Iron Works (iron ore mined on Boyleston Creek). Closed soon after the end of the Civil War. Morgan Mill constructed in the Cherryfield vicinity was, until its collapse in 1998, the oldest surviving industrial building in the county. James Madison Morgan, later known as “Big Jim”, was born in North Carolina, of British immigrant parents. In 1848 he decided to seek his future in Texas. He drove a pack of horses which he sold and then worked as a blacksmith for about ten years. 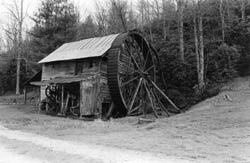 He is said to have returned with $10,000 in gold and constructed the Morgan Mill in the Cherryfield vicinity. Until 1998, when it collapsed, it was the oldest surviving industrial building in the county. Court and county business had to be transacted in the courts of Jackson or Henderson counties.